Posted under Health Guides. Updated 8 September 2017. It can be hard to look different than everyone else. Finding ways to have a healthy body image is important. 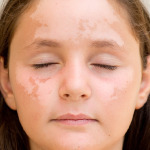 If you have a scar, birthmark, or uniquely shaped face, you probably know how hard it can be to look different from everyone else. You might be reminded of that difference every time you look in the mirror or see someone staring in your direction. Major differences in appearance due to burns, birth defects, or other diseases and disorders can contribute to negative body image and low self-esteem. The effects of body image on self-esteem can be especially powerful during the teenage years. Although it’s perfectly normal to sometimes have negative thoughts and feelings towards your facial difference, finding ways to be positive is the key to building a healthy body image and high self-esteem. Body image is based on your thoughts and feelings about the way your body and face look. Sometimes, the way you think other people are judging your appearance can influence your body image. Poor body image comes from negative thoughts and feelings about your appearance. Healthy body image is made up of thoughts and feelings that are positive. Body image is a major factor in self-esteem. Self-esteem relates to the way you think and feel about yourself as a person, includes how you recognize or appreciate your individual character, qualities, skills, and accomplishments. As with body image, self-esteem can also be based on how you think other people look at you as a person. People who have low self-esteem may not feel confident about themselves or how they look. It’s often hard for them to see that they are an important and capable person. People with good self-esteem have a positive and confident attitude about their body and mind, and can recognize their strengths as well as personal value and worth. Self-esteem is important for everyone because it helps you keep a positive outlook on life, and makes you feel proud of the person you are – on the inside and outside. Most teens with high self-esteem find life much more enjoyable. They tend to have better relationships with their peers and with adults, find it easier to deal with mistakes or disappointments, and are more likely to stick with a task until they succeed. Treating yourself with respect and realizing that every part of you is worth caring for and protecting will help you keep a positive attitude towards yourself. Building self-esteem can take a long time and is not always easy, but knowing that you can improve your self-esteem is the first step. How is my self-esteem affected by my facial difference? It’s common to look at other people and compare your own appearance. For example, you might compare facial features such as your nose, lips, eyes, or hair. A normal part of having a facial difference is feeling like you are not as attractive as other people. Feeling unattractive or different can keep you from meeting new people and trying new things. If you start to feel bad about your facial difference, you may begin to feel bad about other parts of yourself as well. How do other people’s reactions to my facial difference affect my self-esteem? Teens with facial differences may often have trouble dealing with people who stare, question, or make comments about their appearance. Most people (with or without a facial difference) feel uncomfortable if they are being stared at. These situations can make it difficult to meet new people, make friends, try out for sports teams, join clubs, and even apply for a job. It’s hard to have pride and confidence if you feel like most social interactions leave you feeling bad about yourself. It’s important to understand that you have the power to answer questions or respond to comments with confidence, and not let another person’s words or stares lower your self-esteem. Should I take it personally when other people stare or ask questions about my facial difference? It’s easy to think that when other people are staring at you they are negatively judging your appearance, but most of the time people are not judging you as a person – they are simply being curious. Others may ask questions out of care and concern and are not trying to be rude. Someone who sees you for the first time knows only one thing about you: what you look like. Your personality is not based on looks, so you shouldn’t take a stranger’s questions or stares personally, because they don’t know anything else about you. When someone stares or asks questions, you may decide to see it as a chance to increase their awareness about your facial difference or about other differences in appearance. Most people have little knowledge about facial differences and haven’t met anyone who has them. You don’t have to respond to stares or questions, but if you do choose to respond you can clear up any misunderstandings they may have about you so that they don’t assume anything that isn’t true. What are some positive or helpful ways to respond when people stare, comment, or ask questions? It can be very frustrating when other people comment or stare, but if you know what to say and feel confident about yourself, the curiosity of others won’t feel so uncomfortable. You can try something called P.Y.A, which stands for “Prepare Your Answer.” First, think about some of the possible questions you might be asked. Next, write a few short answers about what your facial difference is and maybe why you have it. You might realize that you don’t know a lot about your condition, so look through some books, check out reliable websites, and talk with your health care provider to learn as much as you can. You might also choose to take the opportunity to tell someone how their stares or questions make you feel, in the hopes that they may respond differently the next time they see someone who doesn’t look like they expect them to. Speak confidently—Show others that you have no reason to be ashamed or embarrassed. Consider the age of the person you are talking to. For example: If you have a cleft lip, a young child probably won’t understand what that means. You will need to explain it with words they will understand, such as: “My mouth wasn’t finished growing when I was born”. Don’t describe your condition with negative words. If you use words like “ugly” or “stupid” and say “I have an ugly/stupid scar,” this will only confirm any negative thoughts others may have, and it can become harder for you to build positive self-esteem. Situation #1: You’ve been in a burn accident that left scars covering most of your face. When you try out for a sports team at school, the coach wonders if you will be able to participate without limitations. Situation #3: You have a syndrome that caused the shape of your face to develop differently. While you are on the bus, a teen sitting across from you begins to stare. Remember that there is so much more to you than just physical appearance. Respond and interact with people in a way that lets them see your inner qualities too. Find ways to let your skills or talents shine. Show that you have hobbies, interests, likes, and dislikes just like everyone else. What if someone asks about my facial difference, but I just don’t feel like talking about it? That’s ok! You are in control of the conversation and have the right to say that you would rather not answer their question. It can be especially uncomfortable when someone questions you in a public place or in the presence of other curious people where it suddenly feels like you have an audience. Changing the subject of the conversation might help the other person know that you don’t feel like talking. If people are staring, it’s OK to look in another direction or walk away. Is there anything I can do if I feel frustrated? If you feel frustrated, or too annoyed or upset to talk, try going for a walk or a run, listening to music, or participating in a fun activity with someone you enjoy being with. Sometimes expressing how you feel can actually be more helpful than keeping feelings to yourself. Talk with a close friend or relative who you trust, and who can offer encouragement and support. It can also be comforting to talk with other teens that may be going through similar experiences. If you are feeling very sad and discouraged most of the time, and you can’t seem to find ways to feel better about yourself, it is important to make an appointment with your health care provider or counselor. They can help you to find ways to cope. What can I do to build self-confidence in the way I look? Since your facial difference is only one aspect of your appearance, try to concentrate on feeling good about your whole body. There are many ways to help boost self-confidence, such as engaging in an activity you enjoy, finding a flattering outfit to wear, getting a new hairstyle, or simply eating nutritious foods and exercising. One of the best ways to feel good about your body is to know that you have a healthy one! You may not have control over your facial difference, but you do have the power to keep a positive attitude about yourself. What are some ways to keep a positive attitude? You can keep a positive attitude by defining an identity for yourself that is not based on looks or negative things other people may say. Focusing on the good things you do and spending time concentrating on your unique qualities. Focusing on your education. Learning gives you the power to make a difference in your life and in the lives of others. Participating in a variety of sports or activities. This can be a great way to stay healthy and fit, which adds to a positive body image. Taking up a new hobby, or learning to play an instrument. Have you ever wanted to play the guitar? Maybe you want to learn how to play chess. Take time to find your hidden talents! Setting and reaching new goals. Having something to look forward to can give you a sense of pride and help you work through different challenges throughout your life. Being an inspiration to others. If you’ve thought of your own ways to cope with social situations and find confidence, you may find it rewarding to share advice and offer encouragement to others. Building a healthy body image and high self-esteem can be hard work because it takes time to become confident with your appearance. As you work to improve your body image, you will experience self-acceptance and learn to recognize the qualities, skills, and talents that make you special. Changing Faces: The information/resources on this website are specifically geared towards teens with facial differences. Foundation for Faces of Children: This website provides information and resources for individuals born with craniofacial conditions.